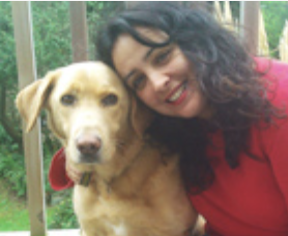 Find out about what makes our dog training champion, Zaina, tick! What made you want to work with animals? I have always loved animals for as long as I can remember and who wouldn’t want the opportunity to work with them? They are awesome! Over 20 years ago when I was studying in Cheltenham most weekends I would volunteer at the Canine Defence League (now known as Dogs Trust). When I moved to Devon with my partner I continued to volunteer at the Canine Defence League and once we were in a situation to offer a dog a forever home we adopted Ripley. He was what triggered my passion for training. He was such a wonderful soul that loved people, but he hated dogs with a passion. I then set on a journey to try to help him. I enrolled us on a training course and did beginners and advanced training with him. We enjoyed it so much and was asked by the owners/trainers if I would like to train as a dog trainer. Well of course I did! I trained and volunteered for years (and still do). One of the trainers also ran a socialising group for dogs with anti-social tendencies which I also assisted with. This was how it started and has continued and branched out. Long walks with my dog, catch up with friends and generally stop without feeling guilty!! Woolacombe. Gorgeous views, amazing walks, buzzing in the summer, peaceful in the winter and friendly folk! I would help those close to me, invest in saving the planet and my selfish side would buy a place in the middle of nowhere with loads of land and have as many rescue animals as I could afford to look after. Zaina runs the ever-popular Dog Training Academy; using reward-based training techniques to help dogs of all ages and with a variety of needs. You can find out more about Zaina’s ethos and class details on our Dog Training Academy page.